My wife and I purchased a sixty acre farm (later we added 15 more acres) that had seen better days but that showed great potential. 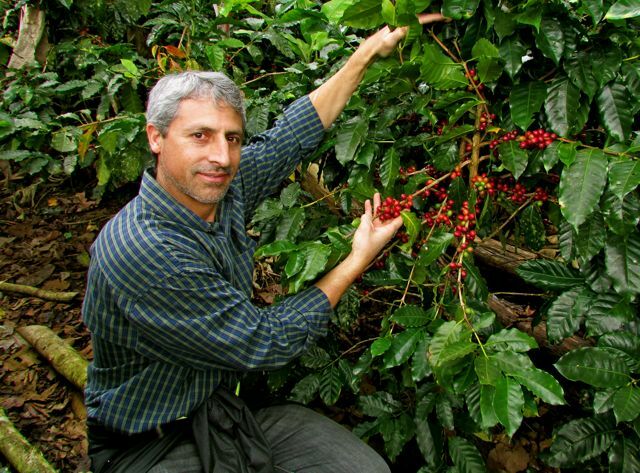 Our plan was that my brother would oversee our small coffee farm near his home town, using organic and sustainable farming practices in order to produce the best quality coffee. Our premium coffee would be exported to the USA where I would be in charge of importing, roasting, and marketing. Since my wife and I reside in Portland, Oregon (one of the top US cities for coffee enthusiasts), we would import the coffee directly from our farm with the goal of helping our farmers by paying fair trade prices. Our sincere goal was to make our family farm not only beautiful, but sustainable and environmentally friendly while also providing stability and a fair income for our family and staff. Our farm composes eighty five acres in a location not more than a mile from where my brother and I had been stationed during the years of our military service. Since there had been battles fought in the area for years, the infrastructure was challenging. There was no electricity, for example, and the roads to the farm washed out during the rainy season. 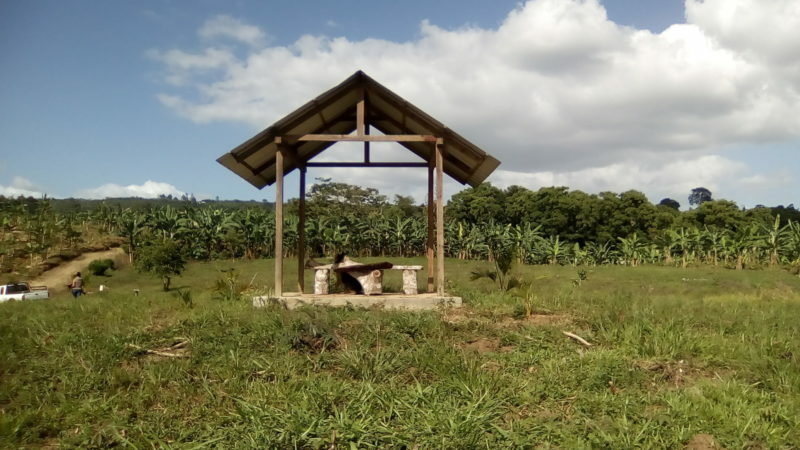 Although the farm is located only about twenty miles from Jinotega, it can take almost two hours to arrive there by motorcycle when the road has turned to thick, deep mud during the rainy season. When we began working this farm in 2005, it was in poor shape having suffered from years of neglect. Only four acres were planted in coffee and the rest of the fertile land was used for raising cattle. The forests outlining the property had been cut down for firewood and mudslides were not infrequent as a result of the deforestation. The farmer who sold us the land had peddled parcels of the property to neighbors, leaving no direct access to the farm from the main road. About one acre of ground directly in the middle had been sold to a friend, as well, when times had been tough. Nonetheless, we were thrilled to have purchased a farm so close to the larger farms owned by our grandmother and uncles. Immediately we set about investing time, labor, creativity and money in order to improve our finca as best we can afford. 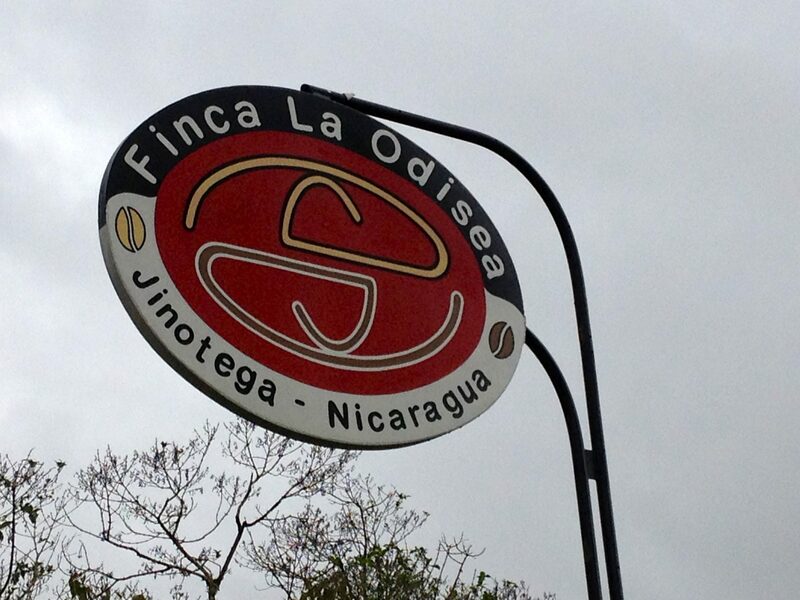 We named our farm Finca La Odisea for various reasons. As young boys, both my brother and I enjoyed reading Homer’s Odyssey while imaging ourselves involved in crusades and adventures with Greek gods and goddesses. Moreover, my brother and I believed our experience fighting in the Nicaraguan civil war had also been an odyssey of its own. We had both survived and witnessed the tragic loss of many relatives, friends and our peaceful way of life. Also, at the time we named our farm (a tradition in Nicaragua--all farms are given names) merely arriving at the farm was quite an odyssey in itself. Finally, my wife and I wanted to honor our chance encounter in Japan and the exciting journeys we had undertaken together as a couple which we considered to be the beginning of many wonderful odysseys we would enjoy together as a couple and family. The fertile mountainous land surrounding Jinotega produces a majority of premium coffee in Nicaragua. 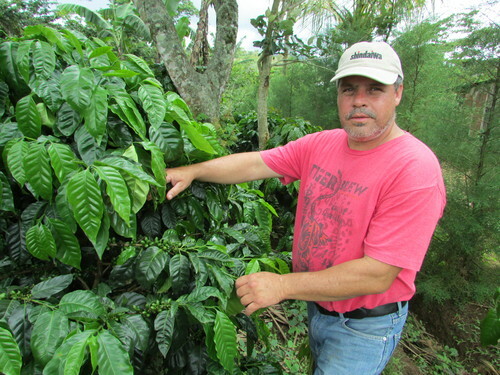 Set at an elevation of approximately 4,000 feet, the terrain is ideal for growing coffee. The temperate climate and frequent precipitation are perfect for cultivating luscious crops. Furthermore, the black volcanic soils provide just the right chemistry in which coffee beans thrive. Additionally, the zone of our farm, known as Las Cuchillas, is lovely and peaceful. In the distance, views of Lake Apanás can be seen from our farm. We are fortunate to have a clear stream of freshwater on our property that provides a constant water source for our workers, animals and crops. Our Finca propagates 100% Arabica coffee that includes the varieties of catuai, bourbon, maragogipe and pacamara. The coffee bushes, excluding the maragogipe variety, stand about five feet tall and produce a large amount of coffee cherries. There is not much distance between the branches enabling our workers to hand pick all of the red cherries during the harvest season. The one exception is the maragogipe variety, which grows to about seven feet tall. Maragogipe (pronounced maa-ra-go-HEE-pey) coffee originally is from Brazil near a town with the same name. It is a mutated botanical variety of Arabica beans producing coffee grains that are much larger in size. Maragogipe can now be found in several countries, including Nicaragua although it is not nearly as common as the smaller Arabica beans. This coffee must be picked with tools that pull the branches down low for the workers to reach and, therefore, is more costly to harvest. During the harvest season of 2012-13 was devastating for coffee crops throughout Central America. A disease called “La Roya” invaded coffee bushes and decimated many farms. La Roya has negatively impacted the majority of coffee farmers in the area. We were very fortunate nothing happened to our finca thanks to the professional, detailed and dedicated administration by my brother. My brother and I strive for quality over quantity. Our farm has room for expansion and we are researching the latest methods to produce the best coffee we can grow in the terrain and elevation of Finca La Odisea. For example, Geisha, one of the least common varieties of coffee, is considered a delicacy but it is extremely difficult and expensive to grow. If we determine that our finca is able to support this variety, we will plant approximately five acres with Geisha beans, called a micro lot. Because my wife is a teacher, she hopes to sponsor a school in the area. Unfortunately, many youngsters in the area of our farm are not able to study after elementary school due to a lack of schools in the area. Lenner, an architect who has designed and supervised construction on projects ranging from houses to commercial businesses to coffee drying facilities, is putting his training and design skills to good use on our farm. He has many ideas about what we could build in the future to make Finca La Odisea a lovely vacation retreat and training center for people interested in learning about coffee growing, harvesting and production. In the near future, Lenner hopes to build small cabins on a ridge overlooking the lake. We foresee providing basic accommodations for coffee enthusiasts interested in learning first-hand the traditional method used to grow and farm coffee in Central America. We would love to form a connection with a university so that students of agriculture could venture to our farm and learn from our traditional farmers methods they use tending our coffee bushes with great care and attention. My hope, coming from a civil engineer, is that we can assist other farmers in the area by improving the transportation and infrastructure in the region. We have successfully improved access to our farm and will invest profits to add segments of upgraded roadway in the future so that farmers and local residents alike can travel to other areas in less time, with greater ease and in more comfort than what is possible now.